Traditional golf courses typically have 9 or 18 holes. The Augusta National belongs to the second category, but it was almost in a category entirely its own. 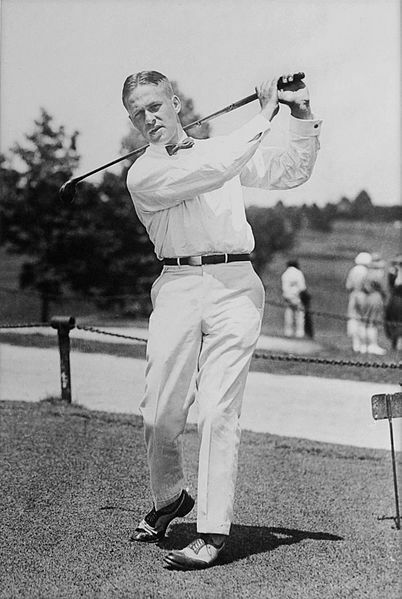 Club founder and legendary patron of the sport of golf Bobby Jones initially intended for the Augusta National course to have a 19th hole. His reasoning was that losing golfers would have an opportunity to win their money back through a last-ditch double or nothing round. But the 19th hole envisioned by Jones was anything but an easy one: it was to be 90 yards long and uphill. The plan was eventually scrapped both for being too expensive and for disturbing the view of the 18th hole. There is no question that the map in the official logo for the Masters Tournament is meant to represent the continental United States. But its proportions are conspicuously wrong, as if hand-drawn by a child who is failing geography class. So how exactly did the most prestigious golf tournament in the world, one that is so concerned with details and decorum, come to have such a wonky logo? 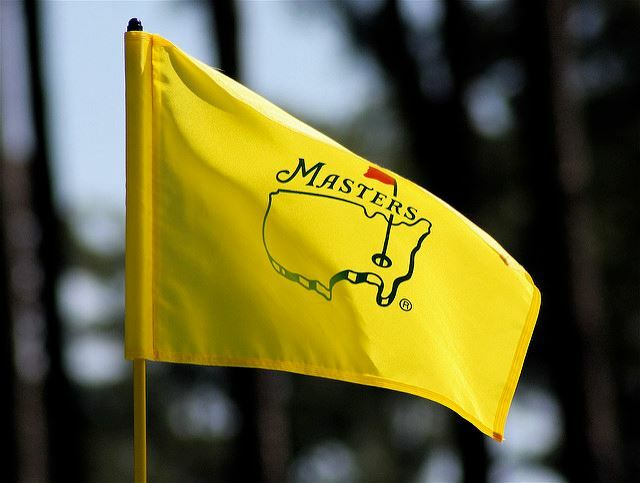 The Masters logo appears to be taken from a time when the world was believed to be flat. Photo by Curiouser*Curiouser on Flickr. One theory speculates that printing technology in the 1930s, during the time that the Augusta National was constructed, was simply not precise enough to replicate the the sharp angles and narrow off-hangings that an accurate map of the continental U.S. would entail. So this more abstract, soft-edged and free-hand rendition simply worked better given the available tools. As to why the original logo is still used to this day, the answer is something that is used to explain many facets of the Masters: tradition. One of the most beloved traditions of the Masters tournament is the bequeathing of a famed Green Jacket to the new champion from the previous year’s winner. These Green Jackets are among the most iconic pieces of clothing in the sporting world because they are custom-made and exclusive to tournament winners. Yet somehow, in 1994 a lucky and unsuspecting golf fan came across one in a Toronto thrift shop and paid a whopping $5 to take it home. 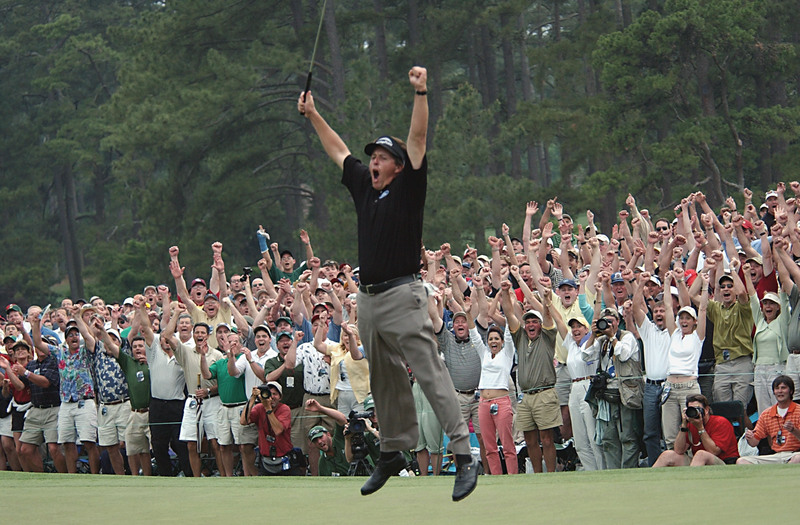 The authentic Masters Green Jacket found by a lucky thrifter in Toronto in 1994. Source. 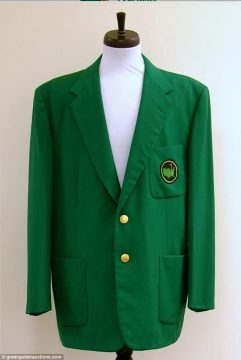 The Augusta National confirmed the authenticity of the piece and determined that the Green Jacket in question was from the 1950s. The lucky thrifter went on to sell the jacket at auction for nearly $140,000 in 2017. Talk about return on investment! The Augusta National is a shining example of incredible grounds keeping. With such impeccably manicured greens where not a leaf falls without being promptly swept up, it is terribly difficult to imagine that the Augusta National was once used to raise beef and turkey. Today, cows and turkeys are certainly not permitted on Club grounds. Despite the club owners’ best efforts to keep the Augusta National operating during WWII, it didn’t take long after the beginning of U.S. involvement in the war for the club to temporarily shut down. 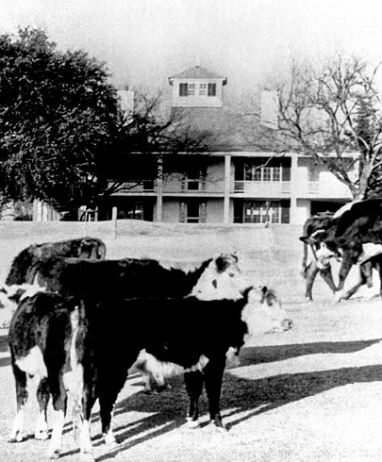 Between 1943 to 1946, there was no golfing to be had at the club. But the land was put to good use! The greens were used for agriculture, at one time housing more than 200 cattle and 1,400 turkeys. This endeavor was not particularly profitable, especially considering the cost to repair the grass after the war. The quirky and charismatic golf legend and tournament winner is the namesake for the sweet and refreshing ice tea and lemonade drink that we know as an Arnold Palmer. Before the drink had a name, Palmer would make it at home and order it whenever he golfed. As he became one of the biggest names in the sport, his drink concoction caught on and became known across the country. 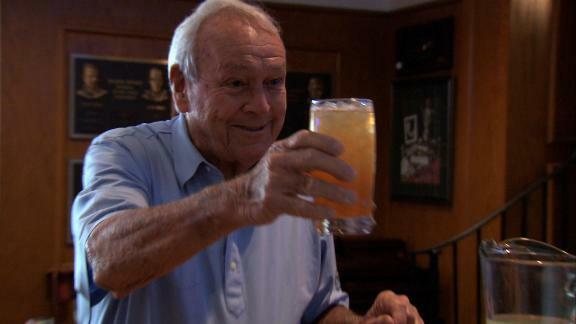 The late Arnold Palmer cheersing a glass of Arnold Palmer. Source. 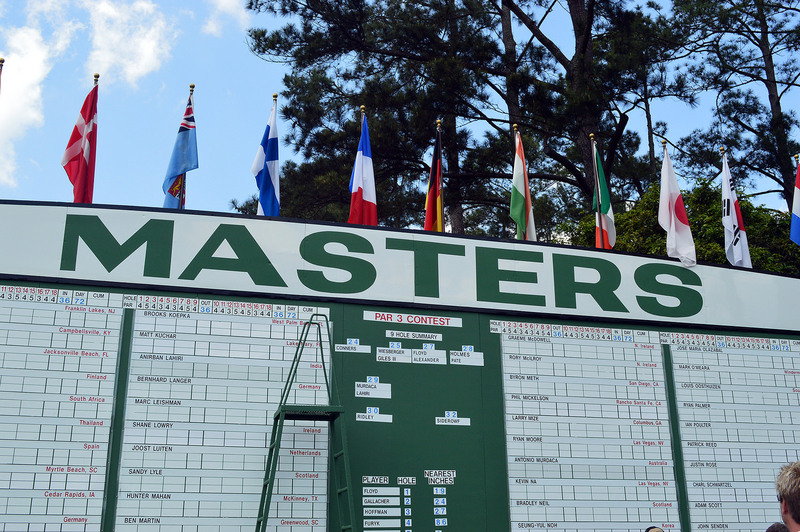 Even though the 2018 Masters will mark the 62nd consecutive that CBS has broadcast the Tournament, the Augusta National has hardly sold the broadcasting rights. Broadcasting negotiations are renewed each and every single year, so the Tournament could theoretically switch to a different broadcaster at anytime. While the broadcasting rights for Summer and Winter Games were sold to NBC for nearly $4.4 billion on a ten year basis, the Augusta National’s year-by-year contract ensures that they have more flexibility. 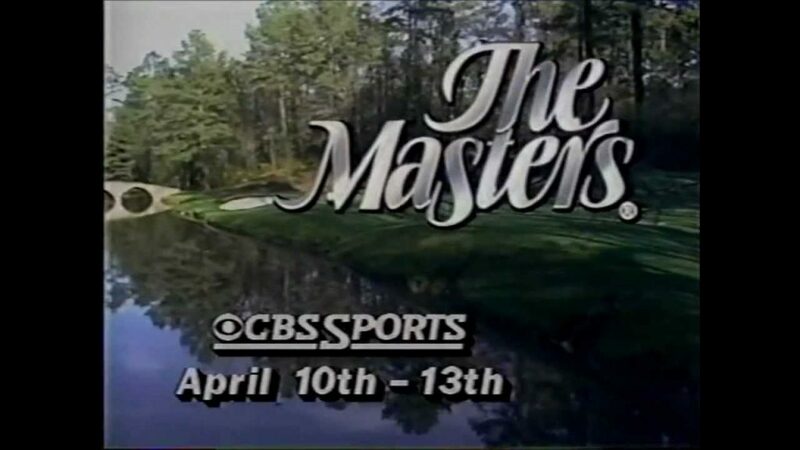 What the CBS broadcast for the Masters looked like in 1986. 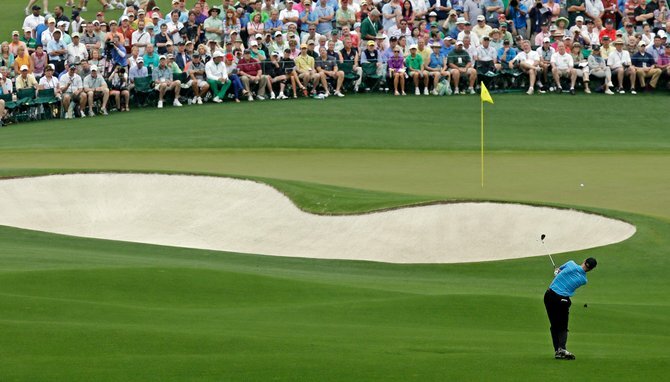 CBS may have aired the last 61 Masters Tournaments, but this contract isn’t set in stone. Source. With decades of rich history and tradition and an unwavering passion for the sport of golf, the Augusta National hosts a truly unforgettable tournament. To experience this historic and one-of-a-kind event for yourself, start planing your trip to the Masters in 2018!